Consumers have a new tool to help navigate the complexities and financial implications of purchasing a home. Earlier today, The Canadian Real Estate Association (CREA), and the Financial Consumer Agency of Canada (FCAC) launched the Homebuyers’ Road Map. The Road Map is available on CREA’s website at crea.ca. In a recent Nanos Research survey1 for CREA, more than 63% of Canadians indicated a “major need” for more information about the financial details of buying a home. That figure rose to 70% for respondents between the ages of 18 and 29. Launched to coincide with Financial Literacy Month, the Homebuyers’ Road Map is a guide which will help Canadians better understand the home buying process as well as appreciate the importance of negotiating with lenders and researching government programs. “Helping Canadians plan for the future, make sound decisions and ensure the financial security of their loved ones are essential in this increasingly complex world,” said Shelly Glover, Parliamentary Secretary to the Minister of Finance. To access the Homebuyers’ Road Map, and to find out how a REALTOR® can help, please visit crea.ca and click the Buying or Selling? tab. The Canadian Real Estate Association (CREA) is one of Canada’s largest single-industry trade associations, representing more than 106,000 REALTORS® working through more than 100 real estate Boards and Associations. Beautiful private garden setting facing the greenbelt in HARMONY by Polygon. Very spacious patio, bright rooms, openconcept. 2 bedrooms and 2 bathrooms on opposite sides of the suite for privacy, in-suite laundry, gas stove, gas fireplace,beautiful cork floors throughout the suite. 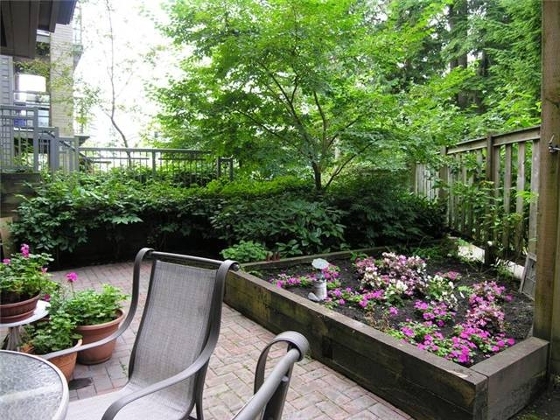 5 minute walk to Simon Fraser University Campus. Bus and shopping only a fewsteps away. Pets and rentals allowed with some restrictions.